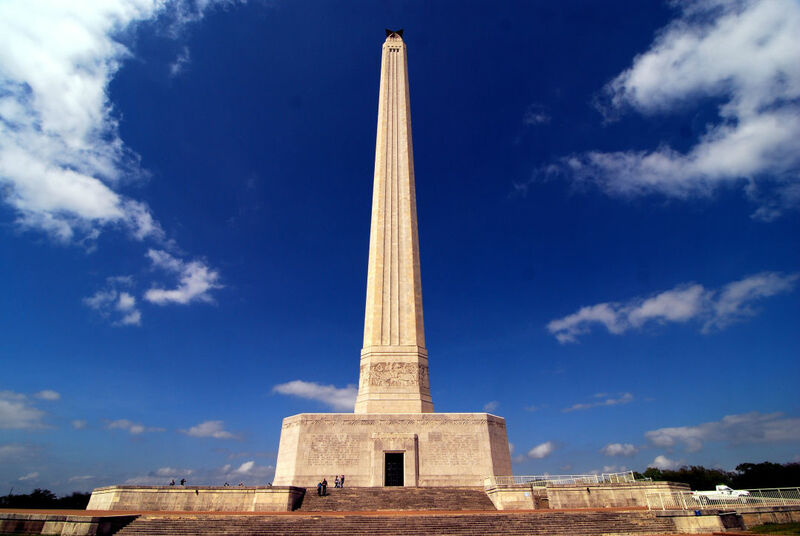 If you've never visited the San Jacinto Monument, this is the weekend you've been waiting for. 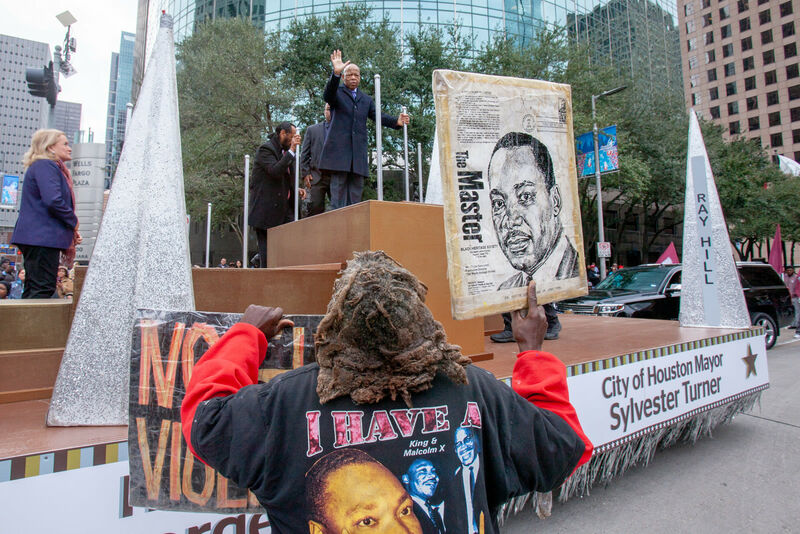 You may know the original group name of Destiny's Child (Girl's Tyme, thankfully changed by 1996) and the best way to bypass the Pierce Elevated (it's all about those Midtown surface streets), but you're not a true-blue Houstonian, nay a true-blue Texan, until you've visited the San Jacinto Monument—and not just so you can brag to your Yankee friends that it's taller than the Washington Monument (which it is, by a whole 12.698 feet). The star-topped monument 30 minutes east of downtown commemorates the site where General Sam Houston and his Texas revolutionaries struck a final, decisive blow to the Mexican army under General Antonio López de Santa Anna during the 18-minute Battle of San Jacinto, winning the war that would ultimately create the Republic of Texas. Now, we're not telling you anything you didn't learn in 7th-grade Texas History, but visiting the site brings the stories to life—often literally, as with this weekend's San Jacinto Day Festival and Battle Reenactment. 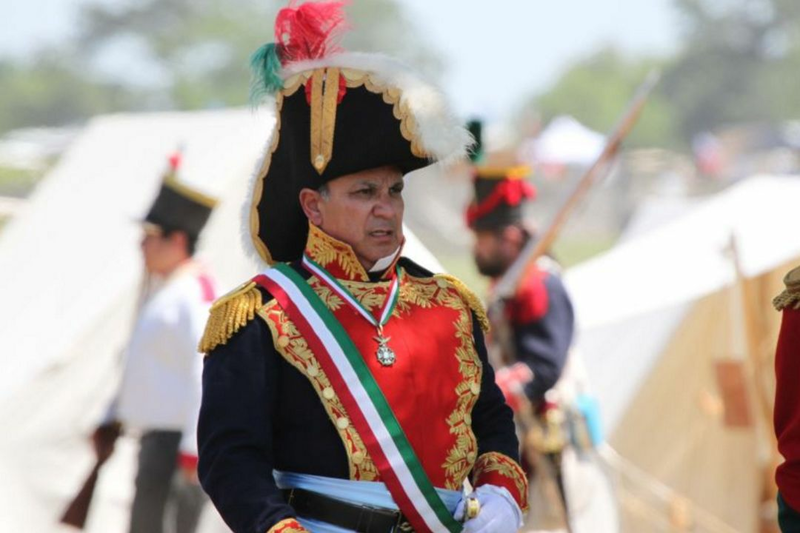 Texian fighters were easily distinguished from the smartly-dressed Mexican army, which wore starched uniforms in red, blue and white. 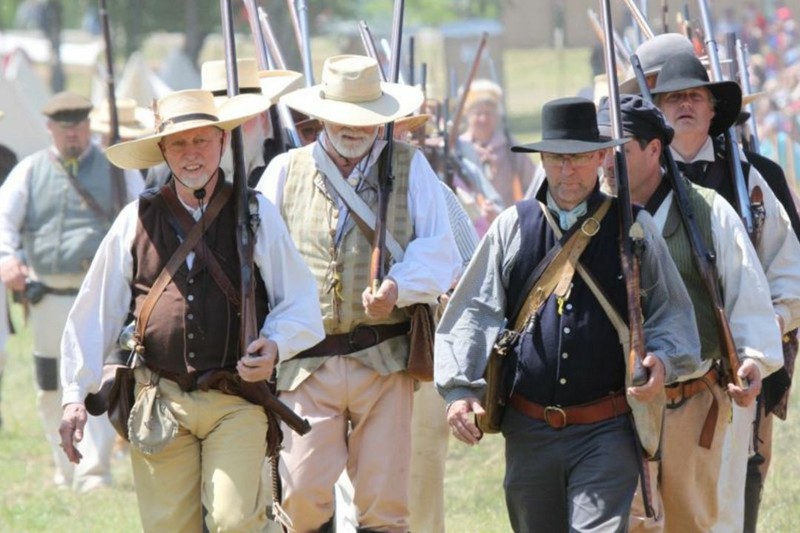 Though April 21 marks the 180th anniversary of the battle (and the 80th anniversary of the commission of the park), this year's reenactment and celebration will take place on Saturday, April 23 from 10 a.m. to 6 p.m. And though the original Battle of San Jacinto began at 4 p.m. sharp as Texian fighters stealthily dragged their cannon through the swampy reeds to surprise the Mexican army, this year's reenactment of the skirmish starts promptly at 3 p.m.—cannon included, along with horse-mounted calvary riders and pyrotechnics meant to mimic the chaos of the battlefield. Listen, if you can, for the now-legendary cries of "Remember the Alamo!" and "Remember Goliad!" as the Texians charge the field. The rest of the day's activities includes entertainment ranging from an all-youth banjo band to something called Pydeaux's Flying Flea Circus and Wahoo Medicine Show to the best Sam Houston impersonator you've ever seen, Jack Edmondson, giving history lessons throughout the day. Of course, if you have time, no visit to the San Jacinto Monument is complete without a tour through its surprisingly thorough and captivating museum and a trip up the elevator shaft to its observation deck, 480 feet above the city. General Antonio López de Santa Anna was captured the day after the battle, wearing a private's uniform and hiding in a swamp. From up here, the entire battlefield is laid out before you, as is the broad Ship Channel, snaking its way up through La Porte towards Allen's Landing and the city named for the general who marched on these swampy fields 180 years ago—a welcome reminder that not only is Houston a port city (which even the most Houstonian of us can sometimes forget), but the birthplace of a rich new chapter in Texas history.